We started experimenting with spiciness recently, so ever since, we became interested in Mexican food. 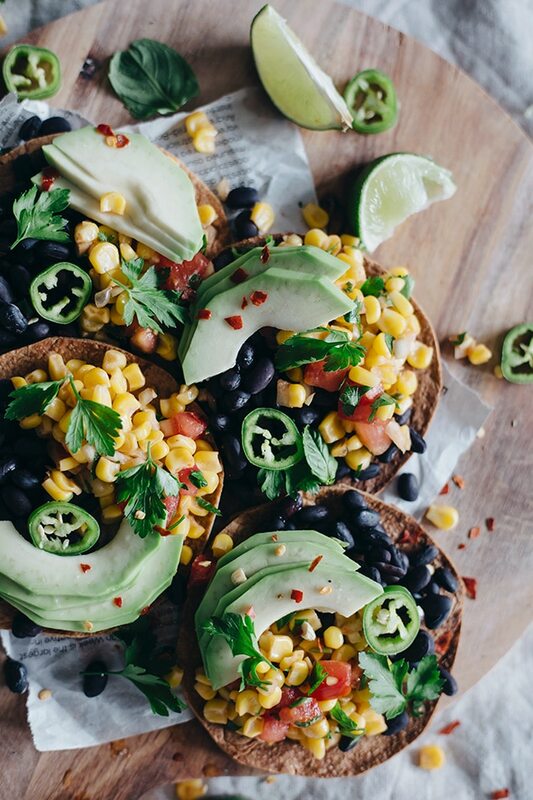 While tacos are a good option to quickly assemble a healthy lunch to-go, tostadas are my choice when I have guests and I need something easy to make, nourishing and appealing. The crunchy base of tostadas calls for juicy salsas, and anything fresh ingredient-related is definitely a good choice for me. This recipe is one of our summer favorites because it’s ready in less than half an hour, it’s filling and has a very nourishing profile – protein, healthy fats, carbs, minerals and vitamins. 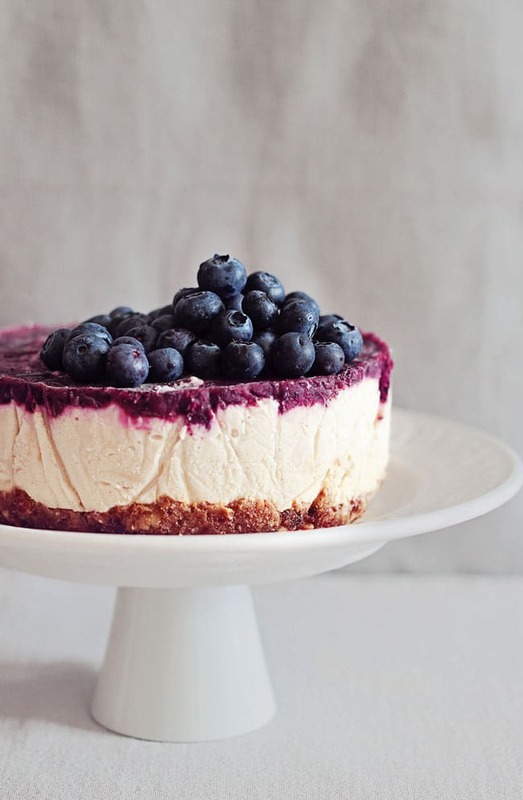 Plus, it looks great and tastes amazing! Beans are a regular presence in my diet, and I happen to really love their taste! Tuscan soup with canellini beans, homemade mung bean hummus, black-eyed bean burgers, filling salads – their creaminess is always appealing and I enjoy them in every way. Their high concentrations of fiber has great digestive tract benefits, especially for our colon. The indigestible fiber in black beans are higher than in any other legume and feeds the bacterial colonies, resulting in butyric acid, which the colon wall’s cells use to support their healthy activity, reducing the risk of colon cancer. 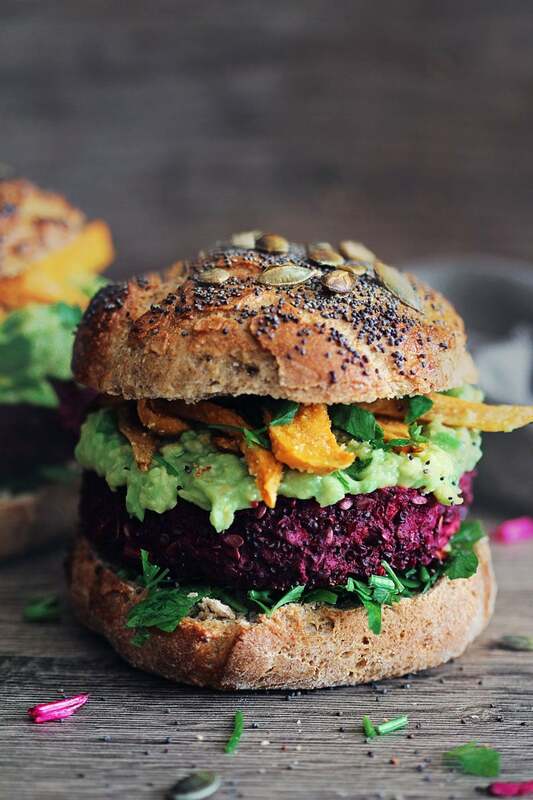 Black bean intake also supports the health of the cardiovascular system, giving a high concentration of folate (B9 vitamin), magnesium and anthocyanin flavonoids, responsible for their intense color. These compounds have both antioxidant and anti-inflammatory properties, which reduce the oxidative stress in our blood vessels, reducing the risk of chronic disease. Consuming black beans with a healthy fat source, such as avocado, increases the absorption of its antioxidant compounds. 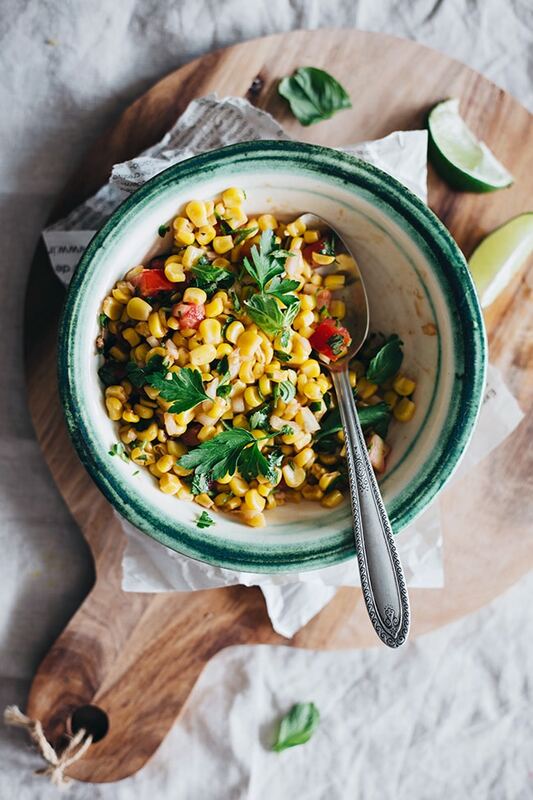 Avocado helps your body regulate cholesterol levels and hormone production, while corn and lime salsa adds a refreshing taste and extra antioxidants. This easy Mexican recipe is a great choice for parties, as it’s easy to make, filling and refreshing. 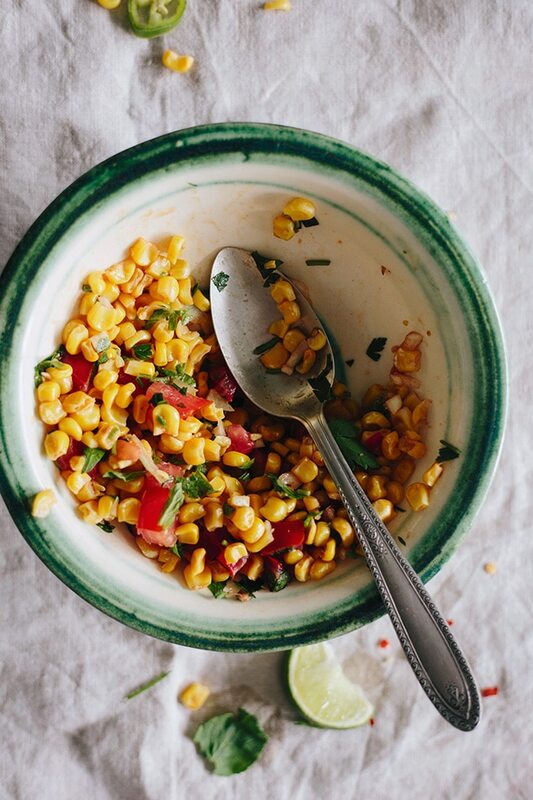 Grill the corn cobs then remove the kernels and place in a medium bowl. Grill the tortillas until crisp, then set aside. Add the tomato, onion and fresh parsley, and toss to combine. Drizzle with olive oil, add the lime juice, season with salt and mix to combine. Set aside to allow the flavors to combine. In a medium sauce pan heat the coconut oil over low heat. Add the garlic and fry for 30 seconds. Add the black beans, red chili flakes, cumin and lemon juice, mix to combine and cook for five minutes over low heat. 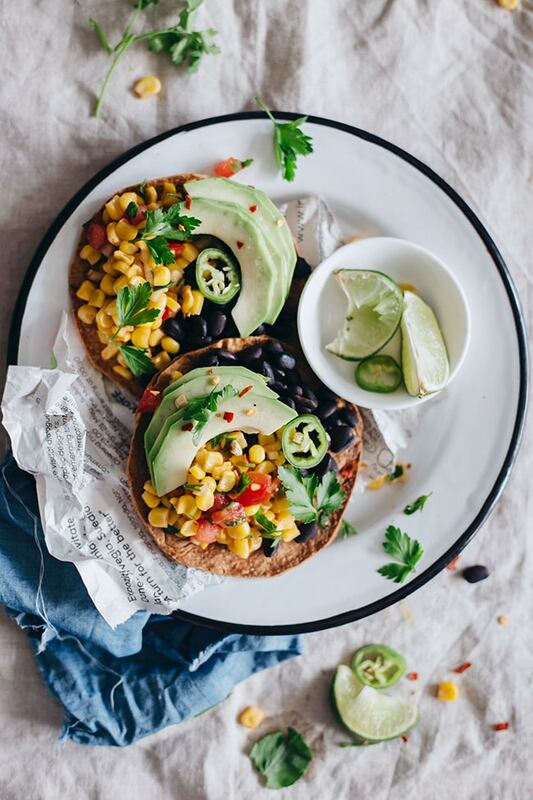 To assemble the tostadas, divide evenly the corn salsa and black beans onto grilled tortillas, top with avocado slices, garnish with fresh parsley and green pepper slices and serve warm. 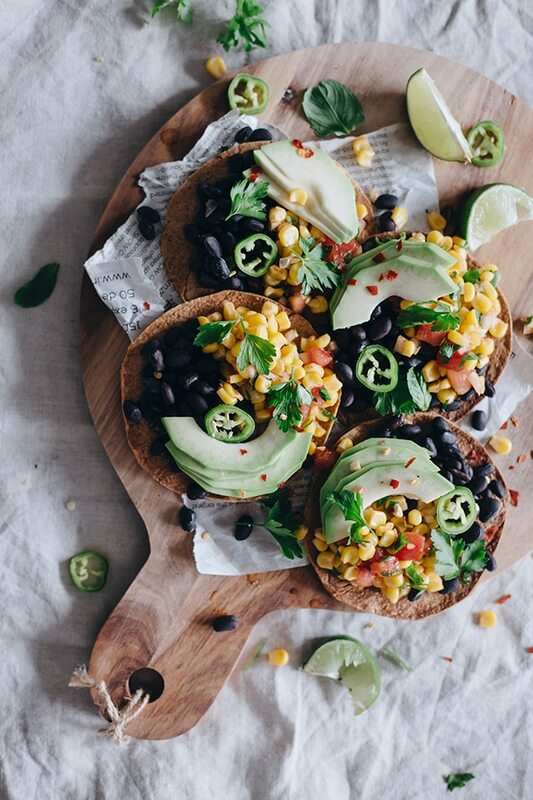 I love any kind of tostadas but add in some black beans and avocado and I will be making this for taco Tuesday this week for sure. 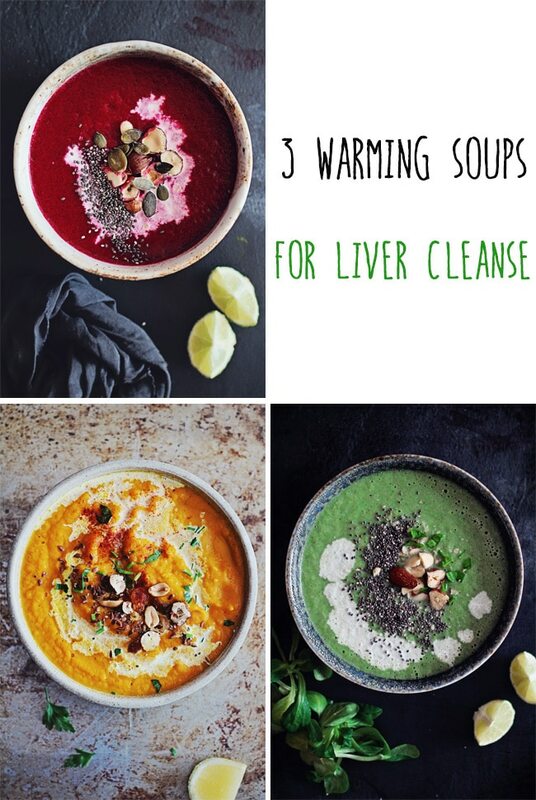 Great recipe and I love the photos! 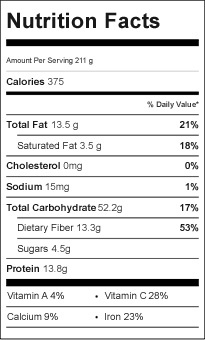 Plus I am loving the nutritional information you included. Happy to read you like the recipe, Amy, thanks so much!